An insurance policy will cover the cost of defending your case if you are sued. Most policies will give you deposition representation, and defendant expense coverage is also available. Depending on your state, some policies also cover your professional license. Each state has its own rules, so check with the states where you offer services to clients, and speak to one of our agents if you have questions. There are policies available that will cover you as an individual pharmacist, as well as policies for the business itself, and Gordon Insurance agents can help you make the right choices on the coverage you need. For over 20 years Dave Gordon and Associates have taken care of all my insurance needs. This includes insurance coverage on multiple types of commercial and residential properties some of which had complex insurance requirements. They have NEVER failed me. The staff is fantastic, assuming the role of liaison between banks, investors, and me to always provide required documents and the proper policy types at the best price without delay or hesitation. I can always count on Dave Gordon and Associates to resolve any issues and/or return my call or email within less than 24 hours! Dave Gordon and Associates is a testimonial to the professional, courteous, efficient, and knowledgeable service that should always be provided to clients . I have no reservations referring Dave Gordon as your "go to" Broker for all your insurance needs. I started with Dave Gordon in 1985, and have never looked back. He and his staff have been on the ball, always getting back to me in a day. I have my retail store in San Francisco and an apartment house with him. Every month I get a flyer in the mail, telling me about the great service and low price offered by others, and when I have followed up, the price was always higher and the answers slow to get. When I wanted to raise the coverage for "code upgrade" on the apartment house, to $250K he switched me to another carrier that included $500K in coverage at a cost of $120. a year more. That is looking out for the Client. His outfit is the best. I have 4 properties, an auto and a $5 Million umbrella insurance policy that I had been doing business with another insurance co. When it came time to renew these policies, for the first time I decided to compare the coverages and the premium rates being charged by a very large & well-known nation wide insurance company. I was absolutely flabbergasted when I made my comparison sheet with Gordon Insurance Co. & the other 4 insurance company quotes. Gordon was lower than all 4 companies and I also was very impressed by the way the owner David & his staff treated me during this process. They are very attentive, detailed, courteous & say what they mean, & mean what they say & get the job done. I am going on 3 years in doing business with Gordon Ins. Co. & do not plan on switching companies, since I have been so satisfied with their service across the board in each department. I strongly recommend Gordon Insurance to you & give them my 5 STAR RATING! Suggestion: Gather 3-5 insurance quotes from different companies. Then call Gordon Ins. Co. and they will give you their quotes. In comparing these quotes, you will be amazed at how reasonable Gordon's rates are! They use top grade insurance companies - not unknown, fly-by-night companies that do not stand behind their insured customers! Like me, you also will be very satisfied with Gordon's rates & service for years to come! Try them - You will like them also!! I first met Dave Gordon about 20 years ago (!) when I had a retail printing shop near his insurance office. He needed printing for his business and I needed insurance for my business, my home and my cars. I have been doing business with Dave and his company ever since, and I have never had any reason to even consider switching my insurance business to anyone else. Dave and his staff are knowledgeable about their business (and they do a great job of staying informed about their industry, which is constantly changing) and they are always super responsive to any of my inquiries and needs. Dave's company is one that I can always count on. Try them and I don't think you will be disappointed. Gordon Insurance delivers! Over the years, I have found David Gordon to be a professional who knows his business thoroughly and has been able to provide competitive insurance products for my commercial properties as well as my home and cars. In addition, Travelers Insurance came through to exceed my expectations of how an insurance company responds to claims after a substantial water damage claim at my home last year. 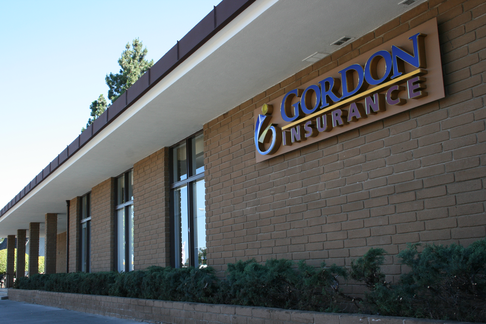 I wouldn't hesitate to recommend Gordon Insurance to my friends and family. As HOA President for Bay Ridge Condominiums, I can confirm that we have been a satisfied client of Gordon Associates Insurance Services since 10/12/2002. I have had the pleasure of working with most of the staff and have found them to be dependable, hard-working and dedicated to providing me with the service and products that suit our association's needs. I'm happy to recommend Gordon Insurance for your insurance needs and would be open to providing further information if requested. I just want to say I have heard very good things about and your ethics in business. I was probably in the worst phase of my life when dealing with my insurance items with you and didn't care about much at the time. I feel better now and just want to thank you and appreciate your support. I have known you for a long time as a friend and I do not like business transactions in the first place. Hearing what I hear from various people is so nice and I feel you need to know that you are very well respected out there. Proudly serving Redwood City, CA, San Francisco, CA, San Jose, CA, Woodside, CA, Atherton, CA, San Carlos, CA, and surrounding areas. Licensed in CA, OR, WA, NV, TX and FL. License No. 0C41304.